3 July | The Wire | Is Australia’s Ivory Trade about to end? 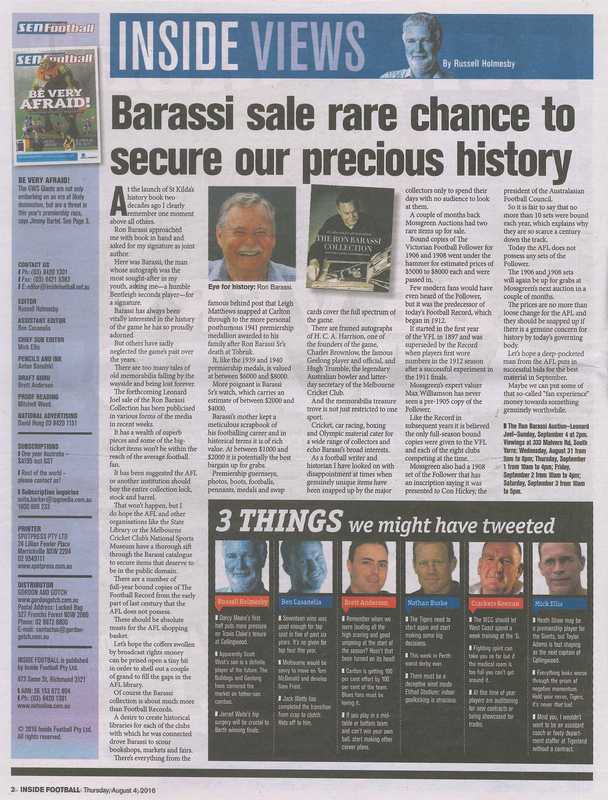 30 August 2016 | Channel 7 News | Who scooped up Essendon legend Ron Barassi’s memorabilia collection? 10 April 2015 | Sydney Morning Herald | Go and get stuffed! 7 May 2014 | Sydney Morning Herald | The head now rules the art. 26 April 2014 | Sydney Morning Herald | Contemporary art hammered at auctions. 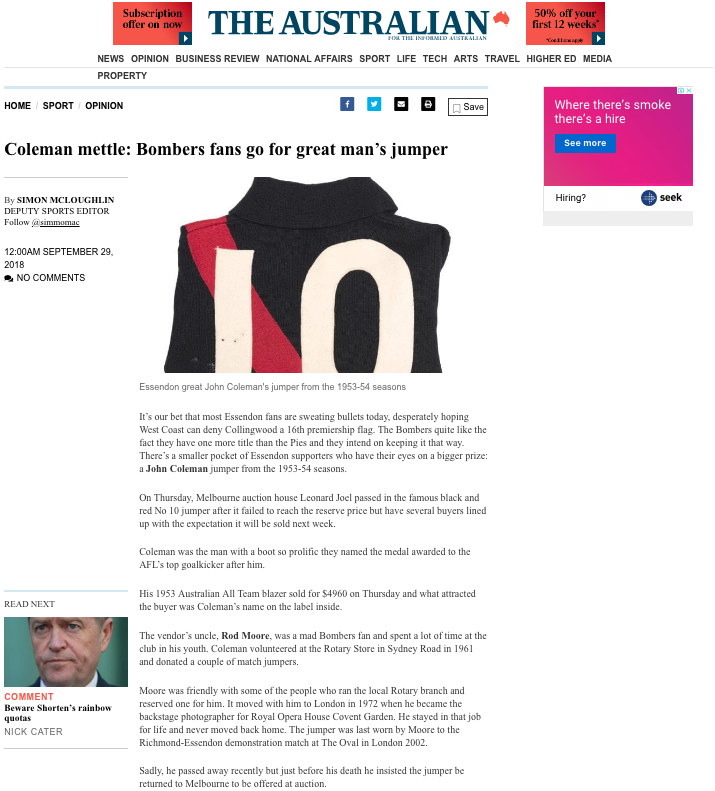 27 April 2014 | Sydney Morning Herald | Fabrics that never fade. 24 April 2014 | Financial Review | Modernising Australian furniture. 26 March 2014 | Sydney Morning Herald | A professor’s clay fired passion. 5 March 2014 | Sydney Morning Herald | Good things come in small packages. 13 November 2013 | Sydney Morning Herald | The shear joy of Aussie icons. 2 October 2013 | Sydney Morning Herald | Lust for preloved luxury. 12 November 2012 | Gallery View | David Bromley Studio to be Auctioned by Leonard Joel Melbourne. 25 October 2012 | The Australian | Temple of art in the offing as Byron beckons. 13 September 2012 | The Culture Concept | Graham Geddes – Antiquities and decorative arts end sale. 3 April 2012 | The Australian | Graffiti off the wall and into auction house.